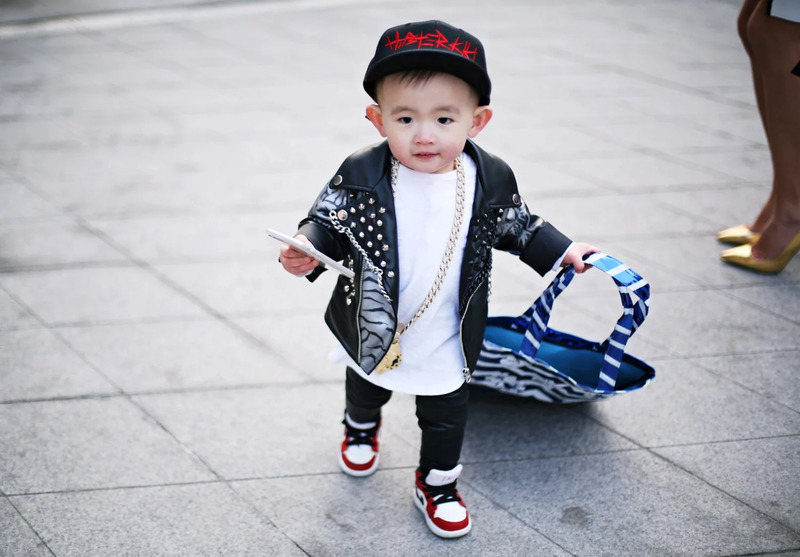 We found this little cute fashion fellow during SFW, how adorable? It's such a big thing with baby fashion in Seoul and during fashion events they come out to walk the streets with all the fashionistas. It's funny to see how cool they are, they seem to like the attention. Just had to talk to this little babyboy, he and his mum approached us when we were running late to a fashion show - but just had to get him on photo!